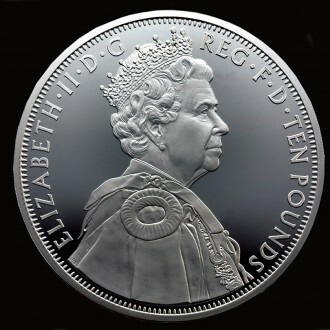 Struck by the Royal Mint to celebrate the Diamond Jubilee. The obverse shows HM Queen Elizabeth II in Garter Robes. 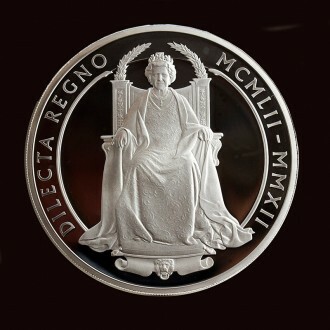 The reverse shows the Monarch enthroned, inspired by the Great Seals of Queen Victoria. The latin inscription DILECTA REGNO translates as I Reign Beloved. The denomination is £10.